By using the best technologies and collaborating with clients, MedicalDirector remains Australia’s health care software of choice. MedicalDirector is a leading clinical software and population health technology company in Australia. It processes 70 million patient consultations every year through its large and growing user base of doctors and medical professionals. The company was founded in 1992 and its first offering was a simple prescribing software that was designed to make doctor-patient consultations more efficient. Now, MedicalDirector software powers Australia’s healthcare industry and provides electronic health records, patient management, billing, scheduling, care coordination and population health management services to GP, specialists and hospitals across Australia. In 2016, MedicalDirector announced Helix, its next generation online cloud-based SAAS platform, which was designed from the ground-up to be the world’s most intelligent and easy-to-use clinical and practice management software. 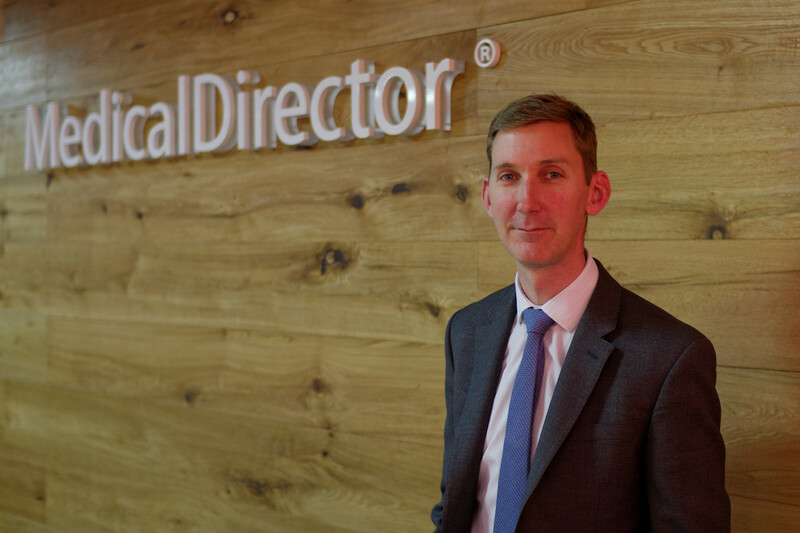 “MedicalDirector was greatly adopted and became the Microsoft of health care for Australia,” says Matthew Bardsley, CEO of MedicalDirector. “The global health industry is going through a technological revolution to cloud-based software and MedicalDirector is leading this revolution in Australia. We designed Helix by listening to our clinicians and taking the 20 years of knowledge from our flagship product and putting this in the cloud,” says Matthew Bardsley, CEO of MedicalDirector. These days, MedicalDirector’s offerings have expanded far beyond a simple prescribing program. With a leading clinical and practice management software and over 20 years’ experience in building intelligent technology, MedicalDirector has worked in consultation with doctors and medical professionals to develop Helix with a simple principle in mind – let doctors be doctors and let them to get back to the job of providing clinical care and clinical excellence. This design principle has underpinned a number of enhancements to Helix, including significantly faster performance, which means doctors can spend more time seeing patients and less time waiting for their software to keep up. The company also performs research and data analytics via its General Practice Research Network (GPRN), a longitudinal research project using deidentified data from GP-patient interactions. The data offers the industry unique insights into health care services and systems. Matthew says the information this research provides is incredibly valuable to the healthcare industry. It allows for better understanding of patients, the interventions used to treat them and their results; it also provides insight into the health outcomes for different treatment regimens and patient types. “With more than 44 million consultations spanning close to 15 years, our data is unparalleled in the market and has been used by many organisations to understand long-term trends throughout health,” says Matthew. When it comes to designing the software for health care professionals, MedicalDirector builds the product in real time with the customer, through co-creation sessions. Its offices in Sydney and Perth are built with this style of operating in mind and dedicated, collaborative environments in which to engage with customers. That’s why MedicalDirector is opening its platform up, making its application programming interface (API) tools and protocols accessible to new partners, which will lead to some more exciting innovations for Australian health care.